Ana Beatriz Barros for Blue Man S/S 2014 in Rio de Janeiro. Love this colorful floral outfit and surfboard! 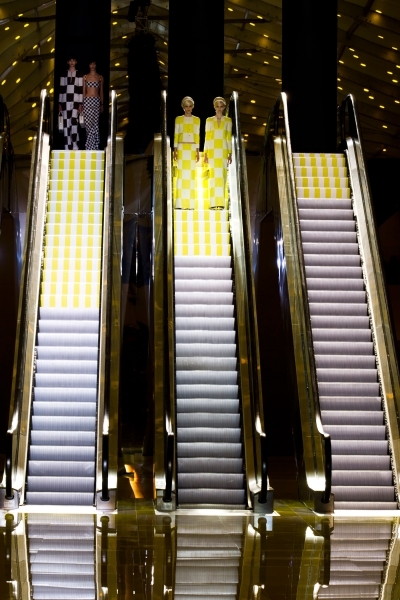 Loving the Entrance of Louis Vuittons collection S/S 2013. The whole collection is checkered in different colors. Marc Jacobs had the 60’s in mind but this time lines were replaced by the brand’s signature check. The models walk in pairs of two in the same color checkered sixties outfits.